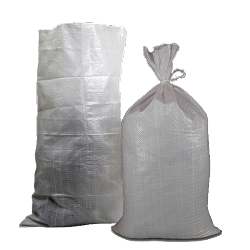 500 Sandbags (WHITE) - 14 x 26"
Not for Sale. Free Shipping. 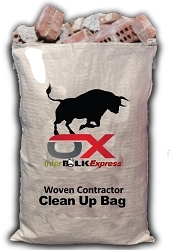 100 Sandbags (WHITE) - 14 x 26"
1,000 Sandbags (WHITE) - 14 x 26"
5,000 Sandbags (WHITE) - 14 x 26"
10,000 Sandbags (WHITE) - 14 x 26"
Welcome to InterBULK Express, your source for the widest range of superior woven polypropylene bags for your home or business at exceptionally affordable prices. For over 15 years, we've been providing businesses in the Masonry, Construction, Demolition and Seafood industries with the finely made woven bags they need to energetically grow their own companies and gain valuable advantage over the competition. By using our convenient drop down menu at the top of the page, you can shop by category. You always get the lowest prices possible.